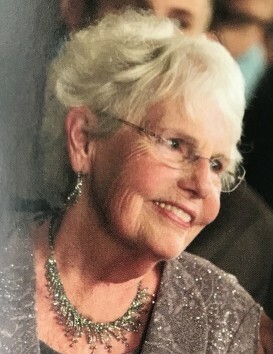 Kathryn Mary Stanaszek, 78, of Egg Harbor, WI, died peacefully in her home, Monday morning, January 14, 2019 with her family at her side. She was born on October 11,1940 in Chicago, IL, the daughter of John Eldred Root, Jr, and Mary Stretch Root. Kathy attended Resurrection Grade School and graduated from St. Patrick High School for Girls in 1958. She went on to study at Mundelein College, Loyola University, and the American Academy of Art in Chicago. Kathy was married to her husband, Frank Stanaszek, whom she had known since middle school, on April 15, 1961 at Immaculate Conception Catholic Church in Chicago. Her professional life was dedicated to her passion for art and design. Kathy worked as a graphic designer for studios and agencies until she started, “Graphically Speaking, Inc.” a graphic design firm in 1965. Kathy worked there as a Principal and Creative Director until she retired in 1989 choosing to dedicate her creative energy exclusively to the fine arts. Kathy and Frank moved to Door County in 1993 where they lived full time and maintained her studio. Kathy was a member of various art associations in Illinois and also in Door County, WI. She had a deep love for and was inspired by the nature all around her. Above all, she loved her family. She loved being a wife, mother, grandmother, great-grandmother and she was at her core an artist. Her love will live on in the hearts of her husband of 57 years, Frank; two sons and two daughters, Ted Stanaszek of Lake Bluff, IL, Mary Schneider of Crystal Lake, IL, Jennifer Donovan of Cary, IL, and Jack Stanaszek of McHenry, IL. Kathy leaves behind twelve grandchildren, Rachel, Cody, Vanessa, Dale, Morgan, Maggie, Shane, Christopher, Luke, Joshua, Jack, and Gabriel; three great-grandchildren, Brooklyn, Taylor, and Skylar as well as her sister, Mary Jacobson and brothers, John and Tom Root; and many other relatives; and friends. P.O. Box 11, Washington Island, WI 54246. Huehns Funeral Home, Inc. & Door County Crematory LLC in Sturgeon Bay, WI are assisting the Stanaszek family. Expressions of sympathy, memories, and photos of Kathy may be shared with her family through her tribute page at www.huehnsfuneralhome.com.